Last Time Out: Kentucky routed North Dakota 96-58, VMI beat South Carolina-Upstate 78-72. The days of VMI lighting up the scoreboard and being a sure thing to obliterate the over virtually every time it took the court are long gone, and in its place is a squad that takes its time and looks for a good shot out of its Princeton-lite offense. While VMI doesn’t slow the game down and look for one shot every 30 seconds the way Princeton’s teams did, the Keydets will make sure that they get a good look before they take a shot. When VMI finds a shot it likes, it’s usually taken by someone named Parham. Bubba Parham leads the Keydets in scoring with 18 points per game this season, while Greg Parham averages 12 points a game. Both are solid shooters and are comfortable taking shots from deep when necessary. Between them, the two Parhams combine to take roughly 38 percent of VMI’s shots, meaning that shutting down even one of them can take the Keydets out of the game. 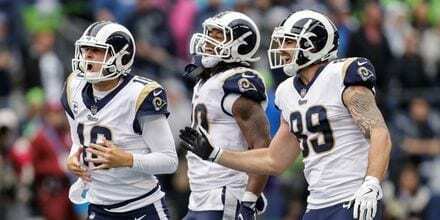 Tampa Bay vs Washington: Sunday NFL Pick! As usual, John Calipari has neither enough minutes nor basketballs to utilize all of the talents available at his disposal, which means that Kentucky’s greatest strength is its depth. Currently, the Wildcats go nine men deep, with only freshmen Keldon Johnson averaging more than 27 minutes per game. Yet Kentucky has five scorers who average in double figures, again led by Johnson’s 16.7 points per game. Reid Travis provides some scoring and senior leadership, but otherwise, Kentucky is again dominated by underclassmen, with only three players on the roster who are neither freshmen nor sophomores. How will he approach this game? There’s little chance of Kentucky being in much danger in this contest, so Calipari will likely use this game to see how his players react in different situations, namely in terms of facing a slower offense like VMI’s. If Calipari is very liberal with his substitutions in what’s likely to be a blowout, there’s a chance for a backdoor cover on VMI’s part. Kentucky can’t adjust to the style it plays and makes silly mistakes. Remember, Kentucky’s lineup is full of freshmen, and freshmen are known to make plenty of mistakes as they learn to play on the college level. That’s why Calipari’s best teams have been the ones with a good mix of older leadership and young talent. If VMI can frustrate Kentucky and hold the score down, the Keydets can steal a cover here, especially considering that Kentucky isn’t always the smartest team when it has the ball. The Wildcats play the way they’re capable of at both ends of the court. There’s no doubt that Kentucky will score and score repeatedly, but whether they can properly defend against VMI remains to be seen. If the Wildcats are patient on defense and don’t get too rushed on offense, they won’t have many issues with putting away VMI. We’re a long way from the last time these teams met just over 10 years ago, which resulted in one of the most embarrassing losses of the Billy Gillispie era at Kentucky when the Wildcats put up 103 points and still lost to VMI. That isn’t going to happen again for two main reasons. One, John Calipari has done a much better job of consistently reloading each year, and two, this version of VMI prefers to play a style that’s much closer to 70 points a game than 111. Based off the Keydets’ 3-1 mark and the huge line, it might be tempting to take the points with VMI in the battle of the schools from Lexington (VMI is located in Lexington, Va.), but there’s a catch here: the one loss on VMI’s record. The Keydets lost 94-55 to a Pittsburgh team that didn’t beat anybody in the ACC last year and hasn’t had enough time to make a lot of progress from last season. Given that Pitt isn’t expected to be a great team this season, it’s far more likely that the Panthers’ rout of the Keydets was because VMI simply doesn’t have the ability to hang with Power 6 opponents, no matter how poor they are on that level. And Kentucky isn’t poor. Kentucky might have looked poor against Duke, but that’s because the Blue Devils are playing on another level from just about everyone else so far. Even the Spurs get blown out by the Warriors but they are still a solid team. Kentucky has since gotten back on track and looks like it’s going to be a force in the SEC yet again. The earliest parts of the season are usually the best time to bet against the Wildcats as Calipari tries to figure out which pieces go where with his freshmen, but that’s reserved for when Kentucky faces better opponents than this VMI squad. If VMI can lose by 39 to Pittsburgh, it’s certainly capable of losing by that margin or more to Kentucky. Patience won’t be enough to keep the Keydets close; the Wildcats have to be the pick. GET SUNDAY’S NFL FOOTBALL WINNER FREE ON A RECORDED MESSAGE! CALL 1-800-546-7217 NOW!